Ricardo Alcalde is a triathlon coach from Spain who counts with a big experience in triathlon (and swimming) as athlete and coach, having the highest academic formation in his field. Ricardo counts with elite (ITU and Half Distance) and AAGG triathletes (from all the distances) in his project. Whatever your goal is, he´ll help you in your way to become a better athlete. Bachellor in Sciences of Physical Activities and Sports (University of León, Spain) with Swimming High Performance Specialization. After his bachellor in Sports Sciences, Ricardo worked as Assistant Coach in the Netherlands where he took the experience of working with elite national and international swimmers. 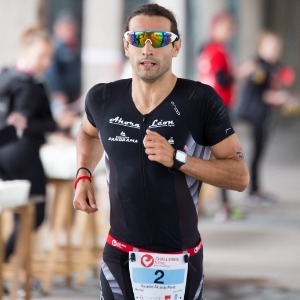 Nowadays, Ricardo is coach in the Lithuanian Triathlon Federation. He counts with an young elite group preparing for racing in ITU races and an AAGG group who take advantage of this knowledge in triathlon for enjoying and improving their process of training. Success. Coach Ricardo Alcalde Perez has been notified of your message.